Markham, ON, January 4, 2010 – Constellation Software Inc., through its wholly owned subsidiary Constellation HomeBuilder Systems, is proud to announce the acquisition of Builder1440, a leading software company focused on the residential homebuilding industry. This acquisition includes Sales1440, a trusted and proven web-based sales solution for hundreds of home builders, as well as the consulting and staffing solutions of G.1440. Builder1440 will continue to operate and grow out of its Baltimore offices, under the same management team and will continue to promote and enhance its existing product line. Constellation welcomes all Builder1440 customers and will provide world-class solutions and services as a long term technology partner in the homebuilding industry. Larry Fiorino, Builder1440 CEO and Founder added that Builder1440 is planning to announce several key initiatives and new offerings at the International Builders’ Show in Las Vegas, NV this January. “I can’t get into it yet, but we’re rolling out solutions that will completely change how builders sell homes,” said Fiorino. With many of North America’s top 10 builders as clients, Builder1440’s cloud-based platform supports customers ranging from large national builders to smaller, regional builders, and everyone in between. 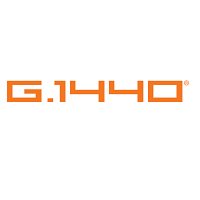 In addition to Builder1440, Constellation has acquired parent company G.1440, including consulting solutions and IT staffing services divisions that deliver end-to-end IT solutions. Specializing in custom software, web design, web marketing, and tech staffing, G.1440 will continue to be a leader in IT in the Baltimore/Washington region. G.1440 was founded in 1998 and was previously a subsidiary of Sinclair Broadcast Group.